So as per this breakouts I don't know what to do, is this some effect from stress? Anyhoo I think Kami-sama has heard me and I got this box of acne fighting products a few weeks ago from Vida Nutriscience AcneCare line. Fights off Acne ,Red spots and other Skin Blemishes.Naturally ! 3 Anti-Acne Complex Lactoferrin, Linumlife and Zinc. 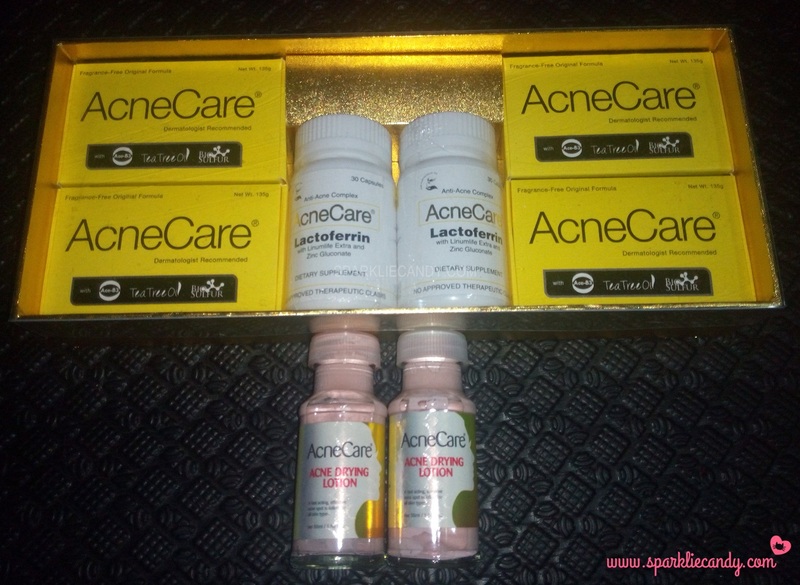 * AcneCare with Lactoferrin capsules - I never tried acne fighting capsules before. and their AcneCare Drying Lotion (same usage as Mario Badescu drying lotion but is said to be cheaper and effective!) I used this as exchange for acne gels.